We have been setting up our scuba divers onboard Cassiopeia with this equipment which provides them with additional safety since 2008. This safety device saves the lives of drift-away divers worldwide. The way the device works is that the scuba diver, after reaching the water surface and noticing that he/she is dangerously far from the diving boat / liveaboard, activates the device that is attached to the scuba diver’s tank or BCD. The receiver, located on the bridge of the diving liveaboard, registers the scuba diver’s signal through an outer antenna and alerts the crew onboard. The location and strength of the signal is displayed on the receiver, providing information on the distance and location of the scuba diver from the liveaboard. It can be a life-saving solution in bad visibility, in heavy surfs, at night or in choppy waters. 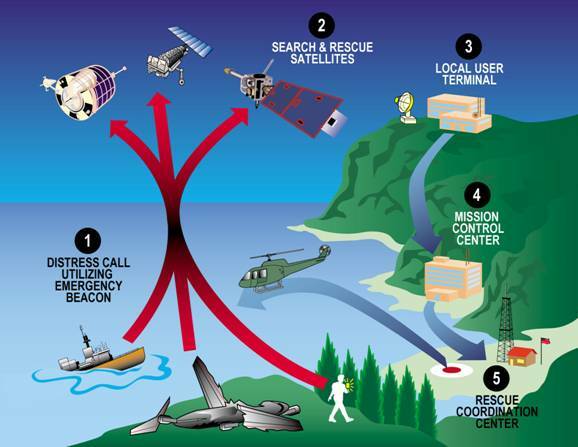 The Emergency Position Indicating Radio Beacons send radio signals at 406 Mhz on a specified frequency which can be received by satellites, airplanes and rescue units. The advantage of a digital signal is that the position of the emergency can be detected virtually anywhere in the world. This receiver is designed mainly for vessels, so due to its size, it is not possible for scuba divers to take it with them. But there is a practical solution to this – a 121.5Mhz personal position indicator. It operates within a smaller range but the 2-5.5km distance is suitable for drift-away scuba divers.